Categories: Bayrol, Pool Chemicals. Tag: Bayrol Decalcit Super. 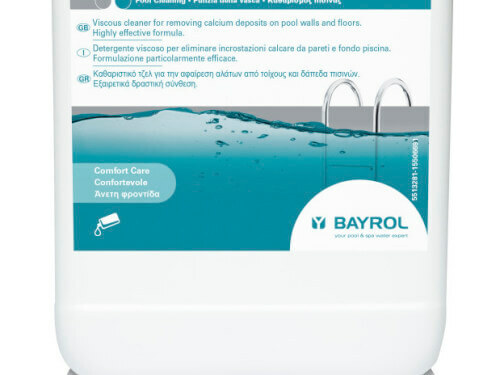 Bayrol Decalcit Super is a special cleansing gel and is preferably applied during spring cleaning to remove calcium deposits from pool walls and floor. We recommend the use of Bayrol Decalcit Super particularly in hard water areas to descale pool surfaces at least once a year.